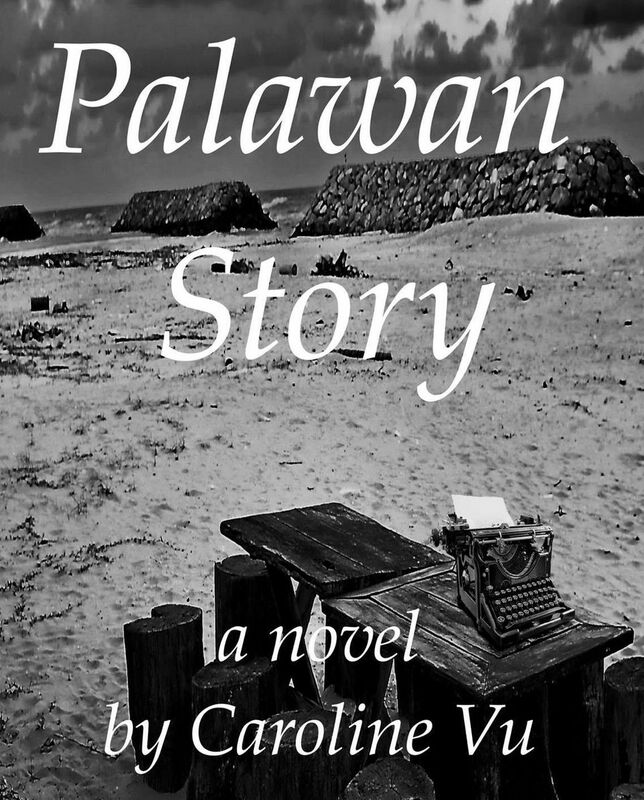 Concordia alumna Caroline Vu weaves a tale of memory loss and childhood trauma in her debut novel, Palawan Story, which was shortlisted for the prestigious Concordia University First Book Prize last week. The First Book Prize is part of a series of awards honouring English writing by Quebec authors, and will be given at the 16th annual Quebec Writers Federation Awards Ceremony on Nov. 18. As the only university that offers BA and MA English-language creative writing programs in Quebec, Concordia University began sponsoring this award in 2011. Vu is shortlisted for the award along with Anna Leventhal for her collection of short stories, Sweet Affliction, and Sean Michaels for his novel, Us Conductors. Stimulated by a desire to understand her mother’s experience with memory loss, Vu began writing this novel 10 years ago to explore the boundaries of memory within the context of her Vietnamese heritage. What began as mere stream of consciousness progressed into a desire to publish a novel for the public eye. Though Vu was pressured into pursuing a medical career, her childhood passion for writing gave her the discipline to dedicate the hours of 11 p.m. to 2 a.m. to writing her novel. During her medical career, Vu worked with geriatric patients experiencing memory loss, and her cultural background as well as her interaction with these individuals allowed her to offer an authentic portrayal of her protagonist. Vu’s psychology education at Concordia provoked her fascination with the shortcomings of memory and the question of its reliability as a source of information. Her novel’s title, Palawan Story, highlights the significance of storytelling as an integral element of identity construction. For someone whose third language is English and who has never taken a writing course, Vu’s feat is an inspiration to aspiring writers with unique histories and diverse backgrounds in the Canadian multicultural landscape. Vu’s advice to writers? “Don’t follow a formula. If you want to establish an authentic voice, your novel should come from the heart,” she said. The novel tells the story of Kim, a young Vietnamese girl whose parents force her onto a boat headed towards Palawan along with other Vietnam War refugees. Mistaken for an orphan who shares her name, Kim is taken in by a family in America and must invent stories to recreate the identity they believe she possesses. Her inability to recall her past takes her on a journey of self-discovery as she returns to Palawan to work as a volunteer doctor. It is only by speaking to other refugees that Kim begins to piece together her past and strengthen her sense of identity. The opening chapter reminds the reader of the ambiguity surrounding the war’s beginnings and challenges the notion of establishing a concrete truth within a post-war context. A novel about trauma-induced memory loss, Palawan Story explores the challenges faced by people who escaped a war-torn Vietnam, were separated from their families and forced to rebuild their lives. Vu has been published in the Medical Post, the Toronto Star, the Montreal Gazette, The Geneva Times, and The Tico Times (Costa Rica). She is a member of the Quebec Writers Federation and her second novel, That Summer in Provincetown, has already been accepted for publication. The winner of the Concordia University First Book Prize will be announced at the ceremony on Nov. 18.